“THESE ARE THE LUNGS OF THE WORLD”. 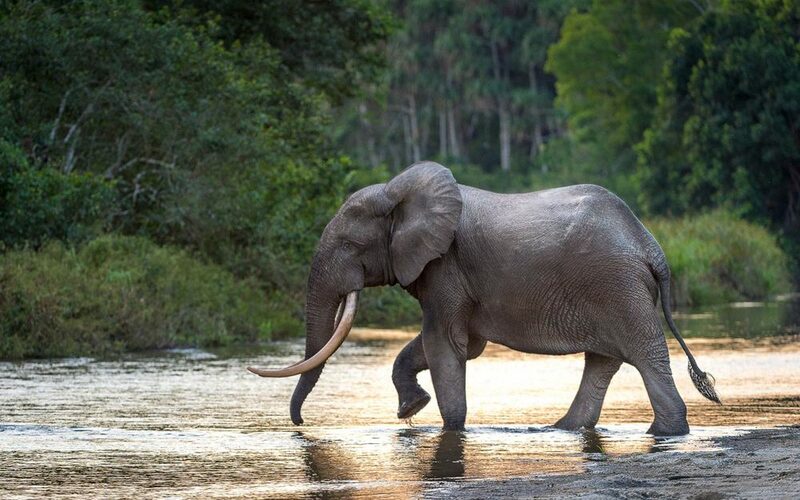 Close to the geographical 'heart of Africa', set in 1 360 million hectares of pristine rainforest in the Republic of Congo Brazzaville, lies a near-mythical place of astounding biodiversity. Odzala is a place few people have ever had the chance to visit. LIFE designed and delivered two award-winning eco-retreats here. Sited amidst the towering forests, crystal-clear streams and expansive open savannah of north-west Congo, Lango and Ngaga, are two luxury eco-retreats designed by LIFE to effortlessly integrate into the environment in a subtle 'haiku' footprint, allowing intrepid explorers the exotic experience of tracking western lowland gorillas through pristine rainforest and discovering a mosaic of grasslands and waterways in this jungle wonderland. 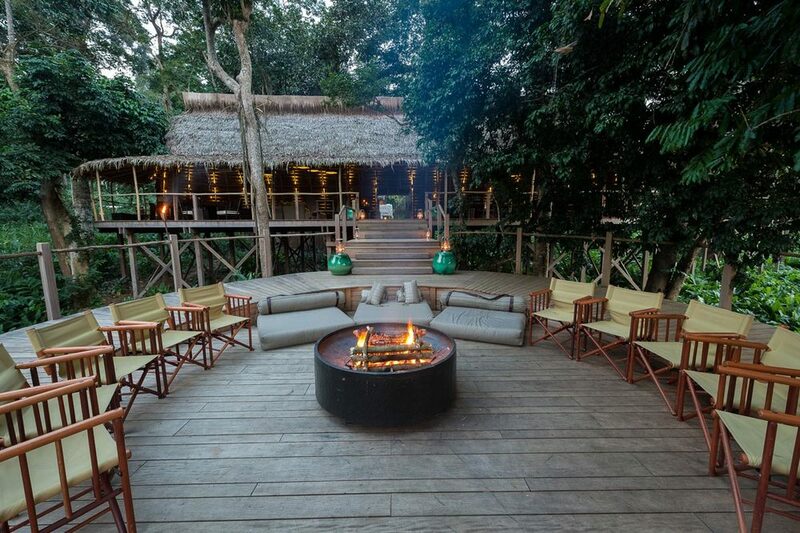 LIFE were appointed as architects and designers by Wilderness Safaris to create two gorilla eco-tourism retreats in a sensitive jungle ecosystem deep in the Congo jungle - Odzala - under the patronage of philanthropists Sabine Plattner and the Buffet Foundation. Their concepts for these two exotic luxury tree house retreats, Lango and Ngaga, celebrate light on the land sustainability, cultural preservation and multi-award winning design. The 4 Cs of Conservation, Culture, Community, Commerce where guiding principles of this acclaimed project. Odzala is truly gorilla central. 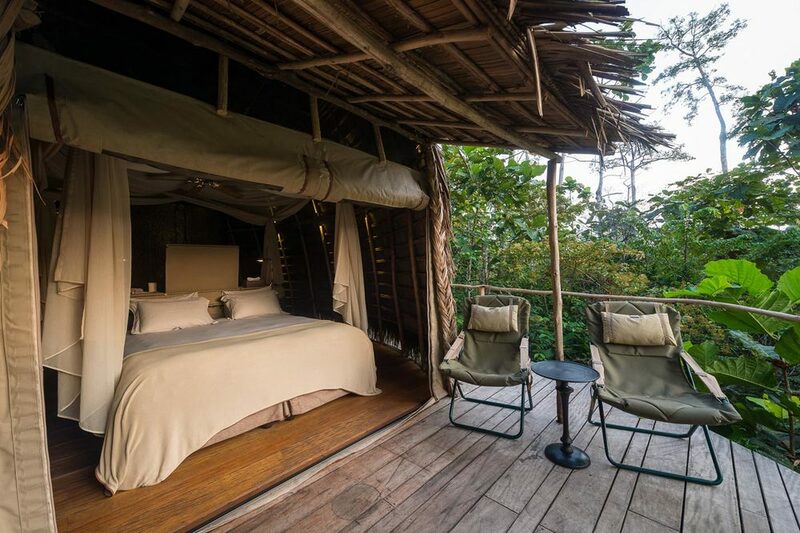 A focal point for world-class research as well as unforgettable primate encounters, the unique design of Ngaga and Lango Camps evokes the whimsy and wonder of childhood treehouses - from the gorilla's vantage point. From the six elevated Thatched public spaces, with linen-covered sofas and Congolese crafts, open onto decks with fire-pits: great for stargazing. Six B'Aka Pygmy-style rooms with beaten brass-walled shower cubicles have campaign-style furniture and beds with views of the jungle. From the guest suites in each camp and expansive open air public areas, wraparound walkways allow guests to peer directly into the dense forest canopy: the veritable lungs of the world. 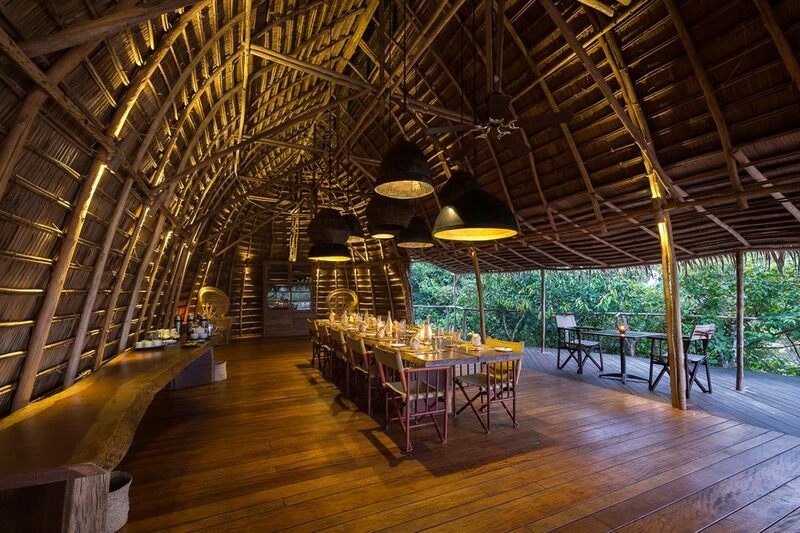 Both luxury camps were constructed by local artisans and the indigenous Pygmy population using traditional techniques, in natural materials, from the land to, in time, return to the land in what has been hailed as a benchmark of sustainable eco-architecture. In the heart of the Republic of Congo, lies a near-mythical place of astounding biodiversity. This vast region of the Congo contains the world's second-largest tropical rainforest, surpassed only by the Amazon.